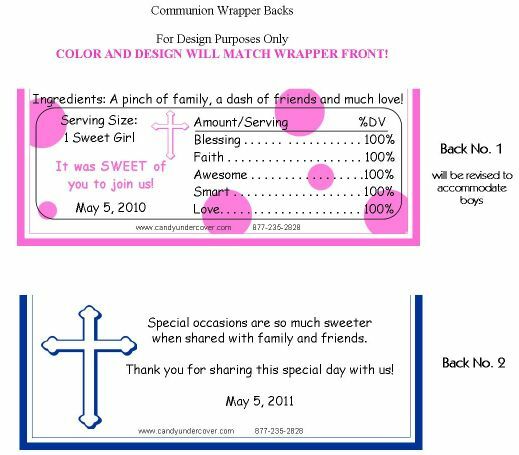 Our First Holy Communion Cross Candy Bar Favors are just stunning! This ornate blue cross really makes a statement. 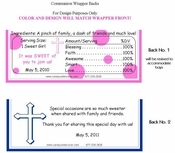 This wrapper complete with your child's name makes the perfect Communion Party Favor!